Hello! My name is Nicolas Gomollon, but you can call me Nico. 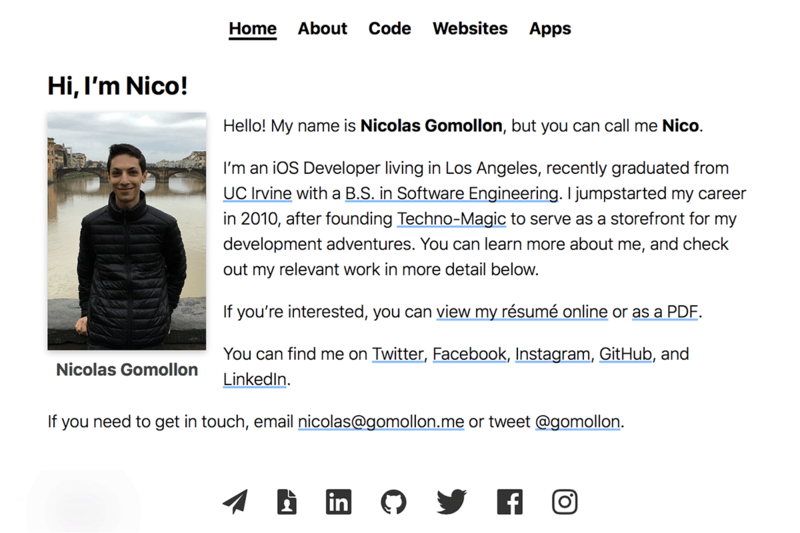 I’m an iOS Developer living in Los Angeles, recently graduated from UC Irvine with a B.S. in Software Engineering. 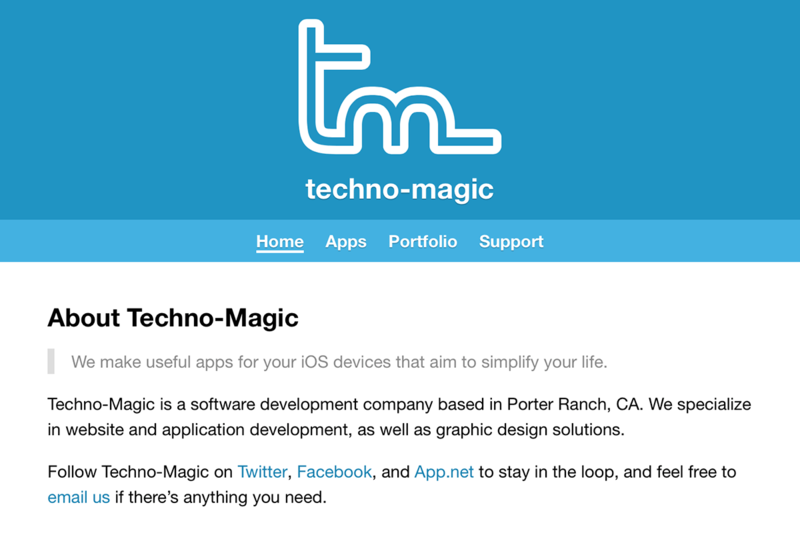 I jumpstarted my career in 2010, after founding Techno-Magic to serve as a storefront for my development adventures. You can learn more about me, and check out my relevant work in more detail below. If you’re interested, you can view my résumé online or as a PDF. You can find me on Twitter, Facebook, Instagram, GitHub, and LinkedIn. If you need to get in touch, email nicolaslocal-part@domaingomollon.top-level domainme or tweet @gomollon. I started learning to develop software on my own in 2010 (at the age of 14) because I was intrigued by the touchscreen on my iPod touch, and curious about how the apps I used were made. 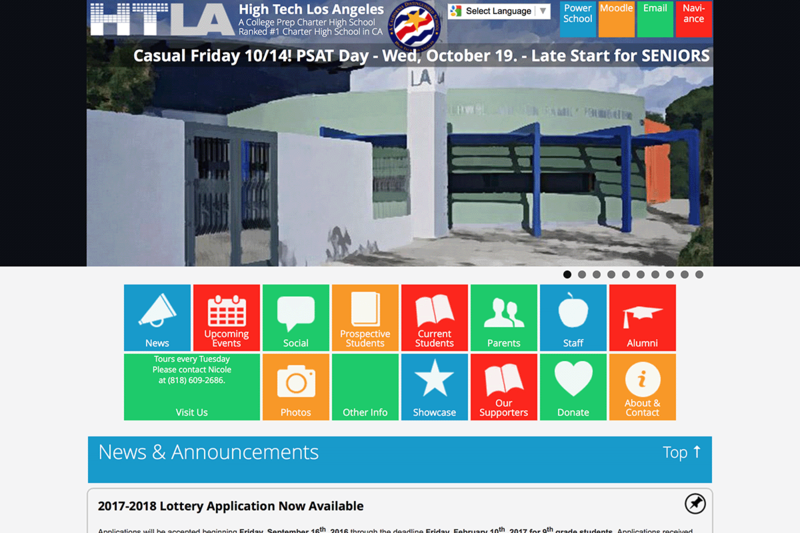 I’m particularly interested in human-computer interaction and designing powerful yet intuitive user interfaces. My main focus is in iOS development, but I also have experience in full stack web development. 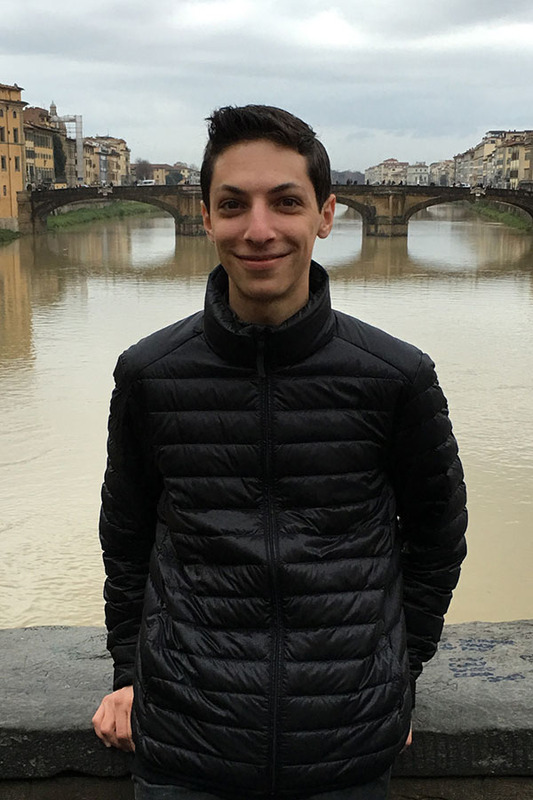 I’m a native bilingual in English and Spanish , and learned Italian after studying abroad in Florence, Italy. I love traveling, and make a point of doing so at least a couple of times throughout the year. Most programmers run on coffee, but I run on mate instead, and listen to electro house and progressive house music while I code. It’s easy to get caught up in the fascinating advances of the tech world, so I like to disconnect by visiting contemporary art museums, learning the principles of good design and typography, and spending time with friends, as well as video chatting with the ones that live abroad. An app that allows iOS and Mac App Store developers to download and analyze their daily and weekly sales reports from iTunes Connect. I took over development and maintenance after the original publisher abandoned it. 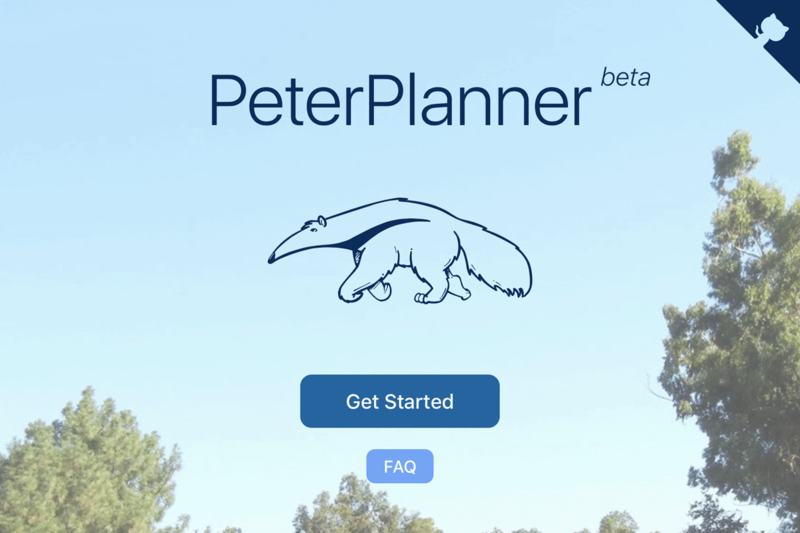 A course prerequisite tracker and scheduling tool for UCI students, aimed at improving the course enrollment experience. The project consists of a series of modules, including a web app, a core script, a downloading script, and a parsing script. I was the main person building the web app as part of a quarter-long group project course. A drop-in replacement for UITableView and UITableViewController that supports long-press reordering of cells. I adapted an existing project into Swift, and ended up continuing its development after the original publisher abandoned theirs. A convenient UITableViewCell subclass that supports pan gestures to trigger actions. A section index bar that only becomes visible when used, and works with UITableView and UICollectionView. I adapted an existing project into Swift, and incorporated my own changes to my fork. 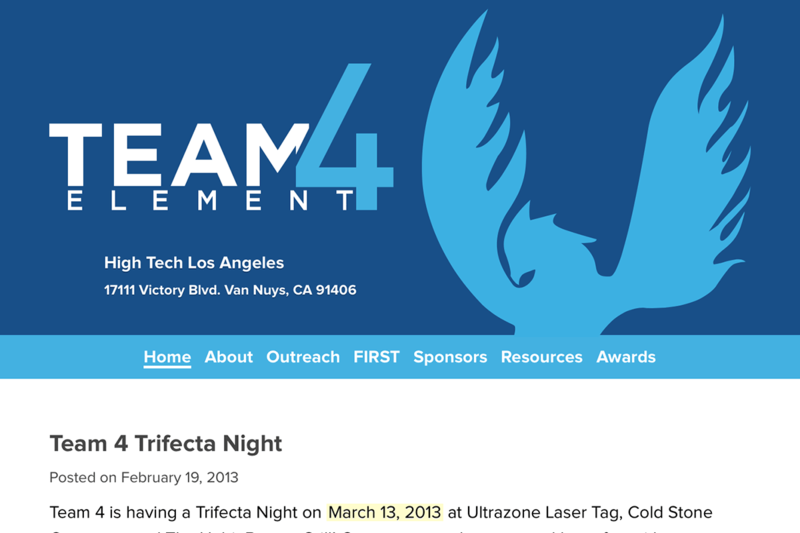 A minimalistic redesign of team4element.com. 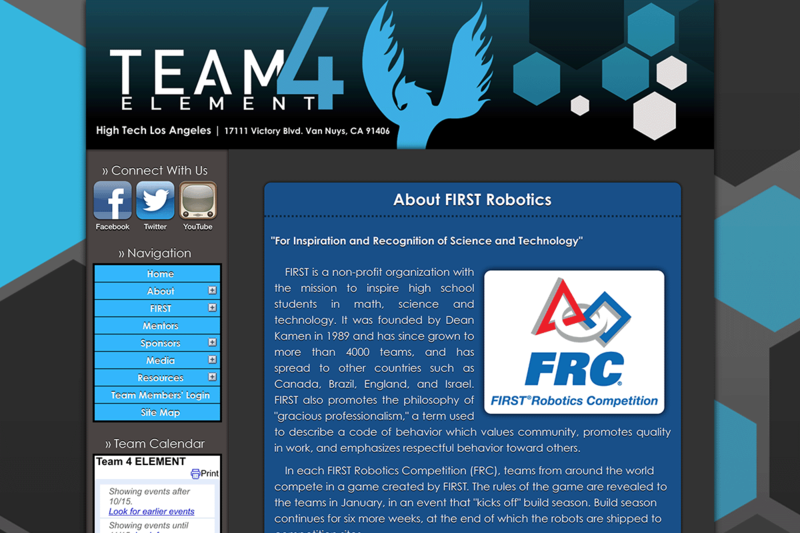 I designed, built, and maintained this website for the Team 4 ELEMENT robotics team, which was their official website from early 2013 until after I graduated later that year.